The 10th Annual Cops Ride is Sunday, June 24. 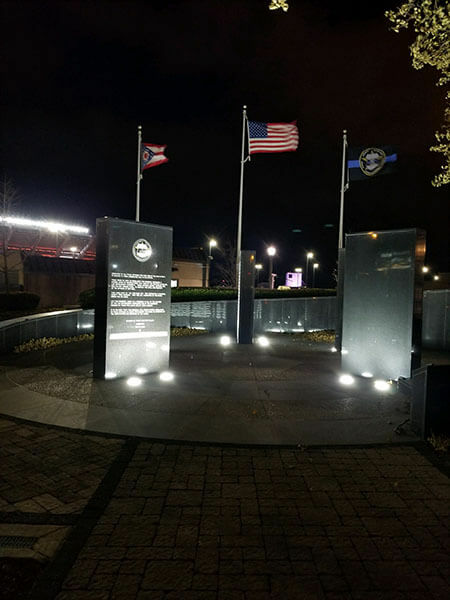 The ceremony begins at 10:30 a.m. at the Police Memorial at West 3rd and Lakeside and the processional ride begins at 11 a.m. to Lake Erie Harley Davidson for food and entertainment. The net proceeds from the ride will be split between the Greater Cleveland Peace Officers Memorial and OHIO COPS. You can still register at all NE Ohio Harley Davidson Dealerships until Saturday, June 23 and the morning of the ride. Cost is $25 per person and all bikes are invited to join in the ceremonial ride. Hope to see you there. Any questions or route info go to www.copsride.com or call John “KIKS” Kikol at 440-263-8121. Thanks for your support.